Alex Mason spent his whole working life in the sugar beet industry, starting in Scotland and finishing in Cantley in Norfolk. He was employed in many factories from Shropshire to Iran and has seen a big change in working conditions and practices. I grew up on a farm in Fife, in Scotland and we were always quite close the sugar beet industry as my father was a sugar beet grower. I left school with a bunch of scientific highers and followed that by going to university, but after a year I decided that it probably was not for me, so I left and decided to get a job. The main employer in the area was the sugar beet factory at Cupar, and I started working in the laboratory there. I think that the connection my father had with the industry probably helped me to get the job. 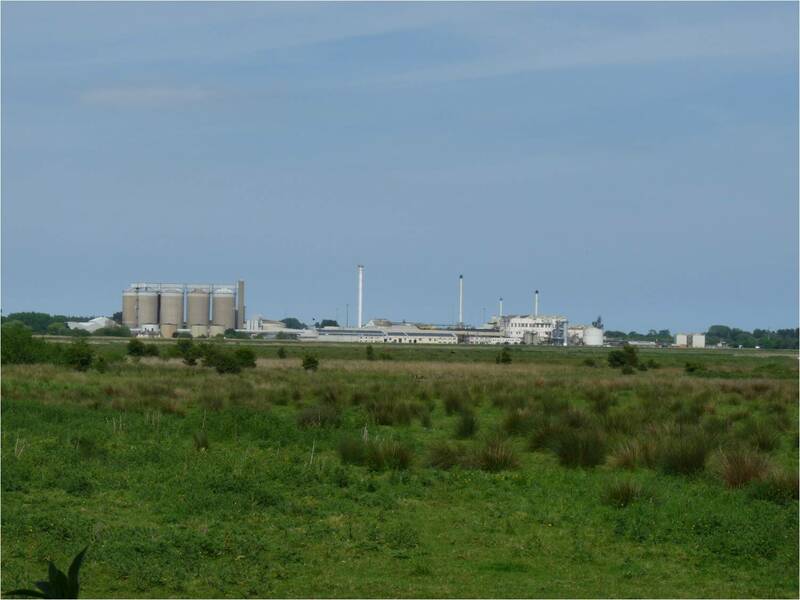 After six months I still had a hankering after other jobs and applied for one or two, one of which was at Dounreay. I got offered a job, not the one which I had gone for, but a grade below. Anyway I decided that Dounreay on the north coast of Scotland was not for me. The management at the factory at Cupar recognised that I was someone with a bit of potential and they put me forward for and I was accepted on to the management training scheme. This meant learning about the whole set up, from beginning to end, I spent most time in York, but I also went to Brigg in Lincolnshire and Felsted in Essex. I started in 1960 and in 1964, the same year I got married, I was appointed a supervisor at the factory at Cupar, with a salary of just over £1000, I thought that I had really arrived then, you think what a £1000 buys now. That position lasted until 1968, but during that time I had been seconded to help with the commissioning of a factory in north eastern Iran. It was being built by a Glasgow engineering company and about a dozen of us went out and got I t up and running and got it through its acceptance tests. I was also sent to the Nottingham factory as a relief shift superintendent. It had always been both myself and my wife’s ambition to come to England to work probably coloured by the fact that 17 out of the 18 of the company’s factories were in England. The first opportunity to come to England was when I was offered the shift superintendent’s job in Allscot in Shropshire. We both really enjoyed our time in Shropshire, but did not think that it was going to be so short, we went in 1968 and in 1972 I was asked to come over to Kings Lynn to be the assistant manager at that factory. I was there in that position for 12 or 13 years, and I did think once or twice that my career was going to stall at that point, and that’s where I was going to be. What I did not realise was that that the company were waiting for the factory manager vacancy to come up at the Newark factory, so when it did in 1984 I headed to Newark. It was during this time that we were the first factory to develop the International Quality Management system ISO 9002, something which involved me for the rest of my career. In 1989 the company decided that a change of management was needed at Cantley, and I was asked to take the job. It was all very sudden and I was wheeled in the next day on a temporary basis, and then offered the job permanently. When I arrived it was not operating particularly well and I drew up a plan as to what needed to change and over a year or two we implemented those changes. During the last ten years that I was there we became a well oiled, well running machine. During that time I also took on responsibility for running both Ipswich until it closed in 2001 and Wissington factory while we looked for a new manager. Although it was hectic working under the sugar beet campaign conditions, it was quite routine. I would be in work by half past seven, put my overall on and walk through the factory. Unless something caught my eye I would go straight to the laboratory, look at the throughput results of the previous day and the logs for what had gone on overnight. Initially when we were trying to change things we would have a production meeting about nine o’clock every day. At that production meeting there would be: myself, the engineering manager, the production manager and the manager from the actual shift that was on, where we would talk through the issues of the day and the plans. Once things became smoother and because I was responsible for other factories I did not go every day, I continued with the paperwork and general routine. The factory started operating in 1912, for three years then it closed for three or four years and reopened in the early 1920s and has been operating ever since. There are pictures that show the whole progress, it started in March 1912 and there was smoke coming out of the chimney and sugar beet going in by the end of the year. It was quite an achievement. When I left the throughput was 9,000 tonnes a day but when I started it was 6‑7,000; interestingly though the number of loads had not gone up, the lorries just got bigger, Of course at one time a lot of the farmers would deliver on tractors and trailers. As the factory is right on the river farmers on the other side of the river had to come round through Norwich and because the vehicles were smaller then they used the Reedham ferry. 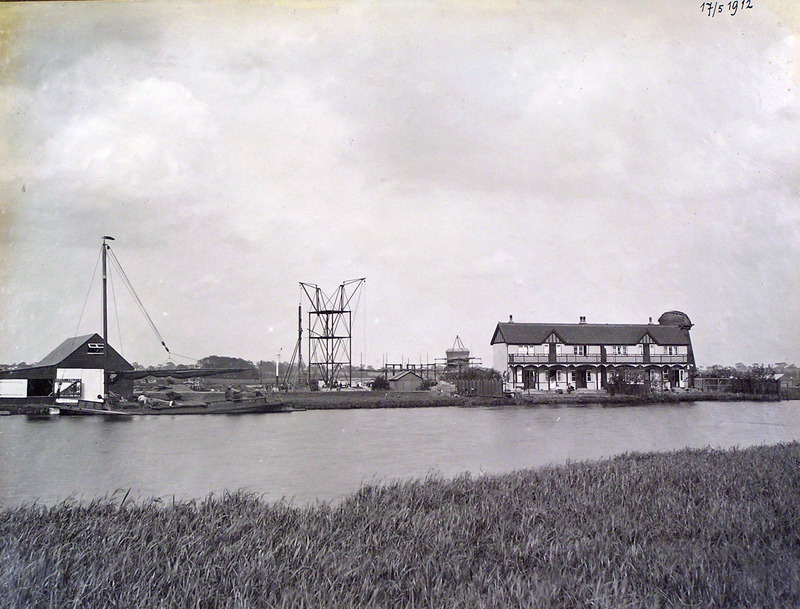 At one time wherries were involved in bringing beet to the factory. Once the season ends the factory goes into maintenance, but there is always a section of the factory which is taking the sugar, processing it, bagging it, screening it and getting it ready for the customers. 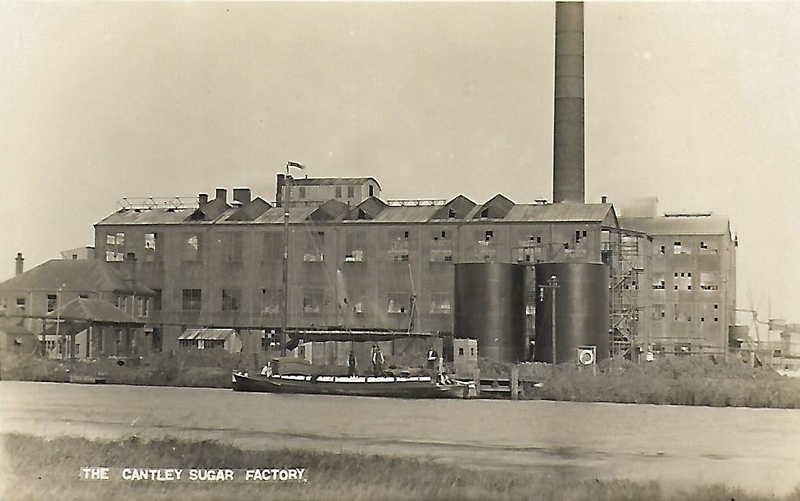 Cantley produces all industrial sugar, for British Sugar. There is a perception that industrial sugar is of a lower grade, but of course it is not. Domestic sugar is not analysed for grain size, whereas industrial sugar has to be. Two-thirds of Cantley’s production went abroad, containerised and off to Felixstowe. The retail side of British Sugar is Silver Spoon, and when I came to Cantley there was a Silver Spoon production area, where we made icing sugar, and more specialised sugars like jam sugar. The whole of the retail operation has now gone to the plant in Bury St Edmunds. The impurities that come out after the sugar comes out are mixed with the spent beet, dried and pelleted and sold as animal feed. There is not the stock around here so most of the feed goes to Wales, Yorkshire, the Lake District, and Scotland I think. The process started obviously with bringing the sugar beet in. Farmers were paid on the sugar content of the beet, so once it was analysed that gave us a figure to pay them. The beet was brought in, some of it stored on site, it was transported in to the factory in water channels, or flumes as we called them. The first bit was to remove any stones, a simple process because sugar beet floats and stones do not, so there was an opening at the bottom of the channel and the stones popped out. There were rakes taking any green material it was then washed by tumbling it around and finished off with high pressure sprays, and then it was clean. All this was done at Cantley on the north side of the railway line, and then a conveyor took the clean beet across the railway line to the factory. Here it was sliced, resembling Macdonald’s chips, then the sugar extracted by mixing it with hot water, in a diffuser. The water went in at one end, and by the time it reached the other end it had all the sugar and some impurities in it. The raw juice was then purified using quick lime and carbon dioxide, which precipitated calcium carbonate which in turn gathered up all the impurities. The calcium carbonate was filtered out leaving the purified sugar juice which was evaporated to a position where you could crystallise sugar out of it. The first thing that comes out is white sugar, we do not colour the sugar, this white sugar goes off to be dried and stored in big sugar silos. There are various grades of sugar: the two main products at Cantley are ordinary granulated sugar and caster sugar which is very fine. Sugar beet does not like heavy frost, it makes it very difficult to process, so that is why farmers store the sugar beet, to protect it from the frost and stop it from getting damaged. There were years when the beet had been damaged and we could not get enough good sugar beet coming in to the factory. Over the years one of the interesting things has been the change in management style. For example when I was at Cupar there was a canteen for the management and office staff and a separate canteen for the workers. Cantley was even more extreme in the old days as it had a management canteen, one for the foremen and one for the workers, that was one of the cultures that had to be changed. Over the years the style of management changed from being very hierarchical to very much a leadership thing. We had a very good management team at Cantley, and I really enjoyed my time there. The mechanisation of a lot of the processes changed things, and we installed a complete factory control which meant that the whole factory was controlled from a central control room. When I first started at Cantley there were about 400 members of staff, but when I left we had 110 permanent and around 150 seasonal workers. We had some interesting characters working in the factory, one thing that always amused me was more or less everybody had a nickname. I never found out what mine was, I cannot believe that I did not have one. In the early days a lot of the workers came from Cantley and local villages, and a lot of the seasonal workers were bussed in from Great Yarmouth. As the requirements changed and the workforce got smaller and more skilled they came from further afield. Over the years we had some terrible weather conditions, but during my time we kept everything going the whole time. In 1987 the factory was cut off by snow for four days, there were about 70 people stuck in the factory and they had to fly food in. Looking back the thing that weighed heaviest on my mind was health and safety, as I was responsible for this and we did have one or two nasty incidents. Sugar dust is quite explosive and there was an incident which took place during maintenance, there was a really nasty explosion caused by a spark in one of the sugar elevators. Fortunately while one person was quite badly hurt it was no worse than that, it did a lot of damage to the plant. Cantley’s involvement in the community, social activities and retirement. I had some good times, some of them just involved people at the factory. One year we had a big ‘fun day’ in conjunction with Cantley school, we did quite a lot for them, and we raised £11,000 for the school. During my time there I was a governor at the school for quite a while and chair of governors for a number of years as well. The factory was an important part of the local economy. One of the really enjoyable times was, there were two or three of us who were quite keen on extreme activities and we set off one year to do the Three Peaks Challenge, the first time we did not finish it because of the weather conditions. Three of us decided to do it again but we did not tell anybody else, we would just go off and do it. We climbed Ben Nevis in late afternoon and came off it at about nine o’ clock at night, we had no time for a proper meal so we had fish and chips in Glasgow on the way down to the Lake District. It was raining and it was miserable and I would not let them eat the fish and chips in my car, they kept that up on me until I retired. I retired in 2007 and our aim was to do a bit more holidaying, especially in autumn, something we were never able to do when I was at work. Since I retired I have been an observer for the IAM on motorbikes, initially I did quite a bit, but it lessened a bit, so now we go away quite a lot, I cycle a lot, do DIY and look after the garden which is a fair old size, but I do miss working at the factory. Alex Mason (b. 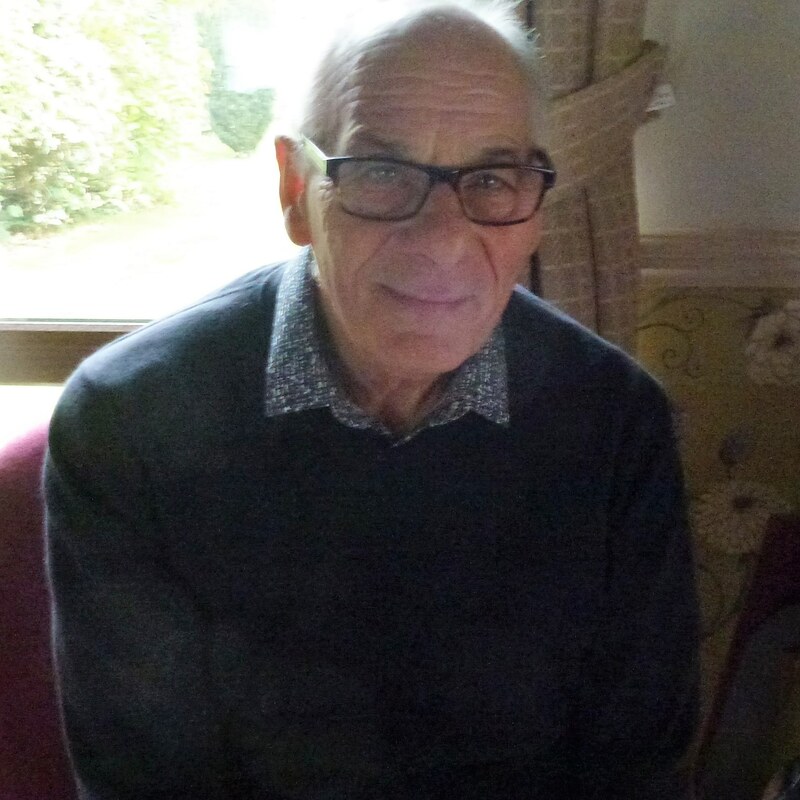 1941) talking to WISEArchive on 1st November 2017 at Blofield.